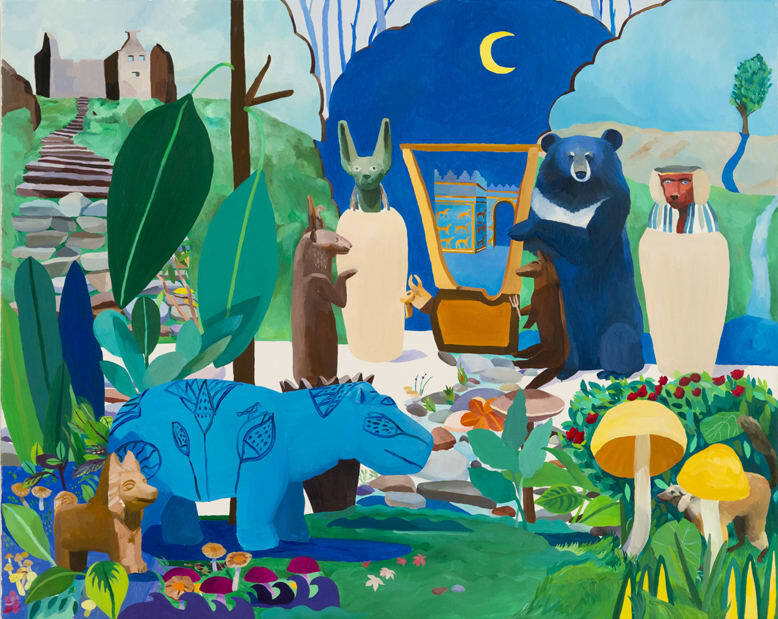 A Place Between Death and Rebirth (Sirius, Canopic Jars, Faience Hippo, Ishtar Gate, and a Sound Box), 24×30 inches, oil on linen, 2013. An Odyssey: 10 Years of The Torrance Art Museum, Torrance, CA. April 10th- May 2nd, Building Fictions, organized by Michael Antkowiak, LE Gallery, Canada.